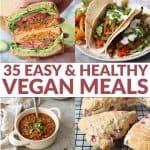 If you’ve been following this blog for any length of time, you know how I feel about most diets. Mainly, that I hate them. Like nails on a chalkboard, nothing annoys me more than hearing about some new diet trend or fad. It’s not that they don’t work. Honestly, most fad diets will help you lose weight (weight! Not necessarily fat, which is a huge difference) but then what? If you’re like most people, you gain the weight back. And rinse and repeat. 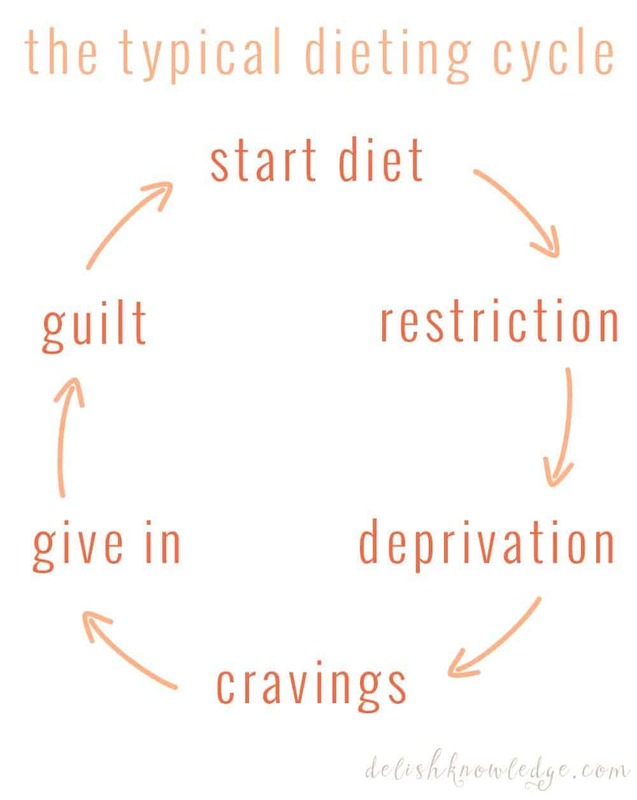 It’s a vicious cycle that tears down our self-esteem, self-worth, and zest for enjoying foods. Most of my clients come to me as a last ditch effort to rid themselves of dieting forever. They’ve been on the diet roller coaster for years, decades even, and are ready to go “all-in” at one last attempt to lose weight. They tend to also come with a healthy dose of frustration; saddened that they can’t do it on their own, angry because they don’t have the will-power to follow a plan. This is why I dislike diets so much. None of these things are true, but traditional dieting is designed to make you feel this way. Diets are born out of restriction. Do this. Do that. Don’t eat this, and definitely don’t eat that. Rules! Ironically, rules are what makes dieting appealing to begin with. I can’t tell you how many times I’ve had clients say to me ‘just tell me exactly what to eat and I’ll follow it.’ The idea of not being in control, not trusting our own body and its needs, is what draws us to the diet. Most of my clients believe they can’t be trusted around food. Therefore, if there are specific rules to follow, all black/white with no grey, then they will be successful! This couldn’t be further from the truth. Restriction leads to deprivation and then to guilt. Denying food (like everything else in life) makes it that much more appealing. While I consider myself to be a healthy eater, I am a brownie girl. I love brownies and can’t imagine them not fitting into my healthy eating plan. Now let’s say I told myself I couldn’t have brownies. I would be able to hold off for a while, kindly passing on brownies whenever offered. “No thanks! I’m on my diet!” Eventually, I would start to really crave brownies. Every dieter knows that the moment you can’t have something, you want it. When the time finally comes where I cave and eat a brownie, I likely won’t have a small serving. More than likely, I would eat 2, 3, or 4 squares because I was ‘cheating’ on my diet and would ‘start back again tomorrow’. After an hour or two of eating the brownies, the guilt starts to set in. How could I have been so weak? I have no will power! Dieting guilt makes us feel ashamed, low, and worthless. And the circle then repeats again, starting with restriction. Maybe that was a little bit more dramatic than you wanted, but I think it demonstrates our common dieting feelings and behaviors. I’ve see this cycle so many times I’ve lost count. Instead of restriction, try permission. It’s a small change that allows you to take back the power of food/eating. Besides restriction, the biggest reason that we tend to hop on and off the diet train is that traditional fad diets don’t teach or inspire any lasting habits. You learn to follow a specific meal plan or list of ‘good foods’ and ‘bad foods’ and that’s it. They pretend to teach nutrition, but only select parts that strengthen the diet. You don’t learn why you eat, emotional connections to food, nutrition, food preparation, cooking skills, etc. Before embarking on any diet, ask yourself- “Could you do this plan for the rest of your life?” If the answer is no, it’s not a lifestyle. It’s a diet. 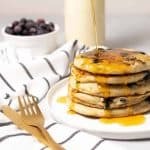 I originally planned on writing this article in time for the New Year; aka the most profitable month for juice cleanses, detox programs, and diet books. Then I remembered that most people who lay out diet goals as a New Year’s resolution tend to fizzle out around week 3, which is exactly where we are today. 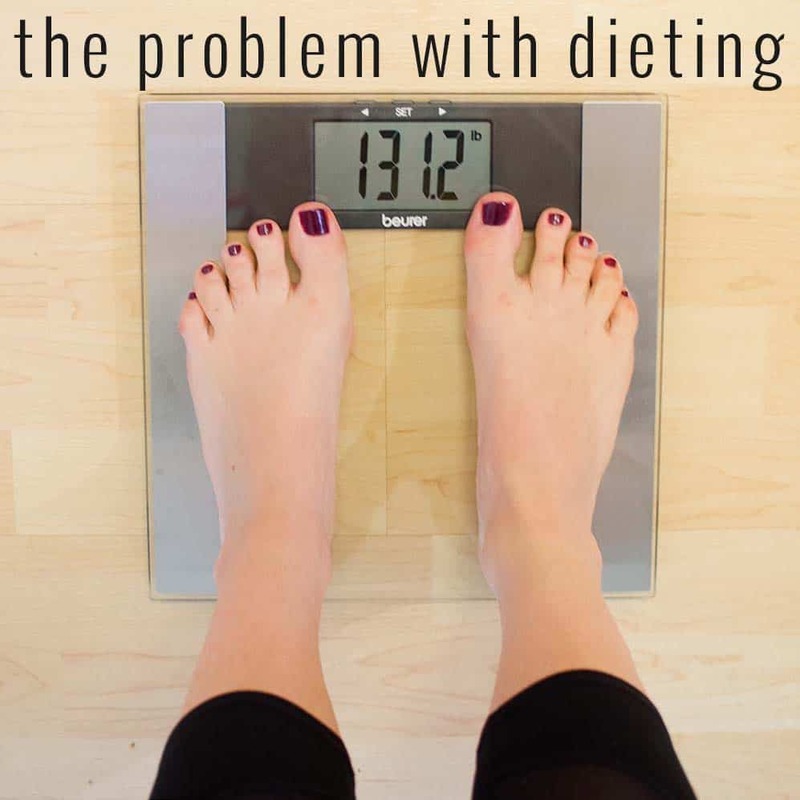 So, if you know someone who vowed to make this year different and is struggling, I invite you to share with them this article on why diets don’t work. Thoughts? Comments? I’d love to keep this conversation going! Let me know what you think. Love this Alex. Diet. A word forever stricken from my vocabulary no matter how tempting it might be. My 0.02 you cant just diet you have to change lifestyle, going from scarfing down burgers twice daily to a wheat grass smoothy and kale chips for lunch your setting your self up for failure. Pick a balanced diet and regime you think you can stick with and go at it, try and make the healthy choice whenever poss, i.e take the staors. I started the ethosien diet and swimming 3 times a week , i also cut out soda and ive lost 34 lbs in last 4 months. LOVE this- especially the circle graph… I too, hate the word diet and am a brownie girl ! Well as a fellow RD you know I completely agree with you! Now if we could just get everyone else on board. It’s sad to see what some people think they need to be doing to lose weight. Love! I think you really hit the nail on the head with the cyclical nature of dieting and that people don’t really learn anything from dieting. I’m a big advocate of people learning to cook and why they are choosing the foods they eat. As a culture, I think we need to focus on this type of education more. Kudos to you and other RDs who are already doing this! Great points! Love the outlook and it’s so true. I always say the best and only diet is the one you can maintain and ENJOY for life. Thanks for sharing. This is EXACTLY how I feel! I hate when people talk about wanting diet or all the diets they go on. It is ridiculous. Diets don’t work. The only thing anyone should be doing is eating real whole foods and exercising for their optimal body/mind performance and health! It is a lifestyle! Exactly…a message worthy sharing. Thank you. Looks like we were on the same page for today’s post! I ALWAYS ask people if they could follow their diet for the rest of their lives. Usually the answer is no. Love what you have to say here! I couldn’t agree more! I ABHORRRRRRR diets! ABHOR THEM!!!! Lifestyle changes people! Diets are these stupid trends that last for 3 weeks and then people think they’re good and can go back to their old eating habits! It’s baffling to me! UGH!!!! You said it sista!!! They don’t work! It’s all about changing your mind set and incorporating WHOLE HEALTHFUL FOODS INTO YOUR LIFE! What’s the first three letters of diet… “DIE”, #neverworks! Great post Alex, I think all your fellow RD’s out there feel ya! Love this! Couldn’t agree more. RD Love! Yes! Looks like all the RDs here agree 🙂 It’s exactly why I use Intuitive Eating because someone could be eating incredibly well and physically healthy but still struggle with the mindset and all that stress. Couldn’t agree more! I like to have clients add things in in small incremental steps as opposed to restricting, like eat one more serving of veggies per day, drinking one more glass of water, etc. Yes! I am with you there as well! Small goals ADD up and are much less overwhelming than a total diet overhaul! I totally agree with everything you’ve said and that’s been my philosophy for many years. Diets do not work! Changing your lifestyle and eating healthy foods works.